I was still recovering from the night before so the day started slowly. I found myself surrounded by brides on Old Town Square and watching a guy have a fish pedicure. The Old Town Hall with brides. 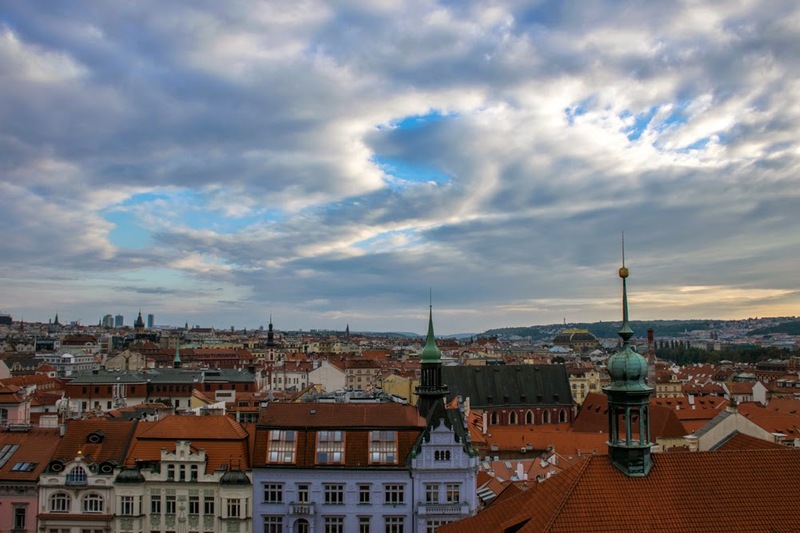 It is popular to get married elsewhere and have the wedding photos taken in Prague. 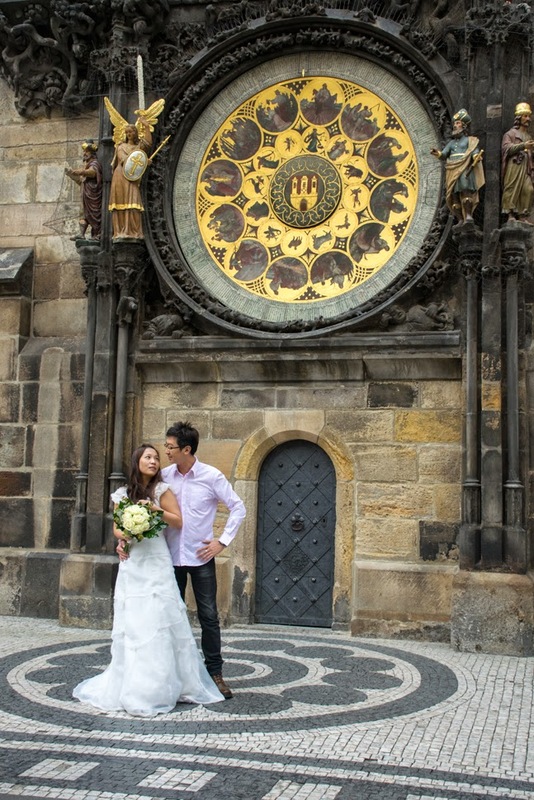 Newly married in front of the Astronomical Clock. Now I was ready to switch my focus for this trip. I am an Alphonse Mucha fanatic. He is one of my primary artistic influences. 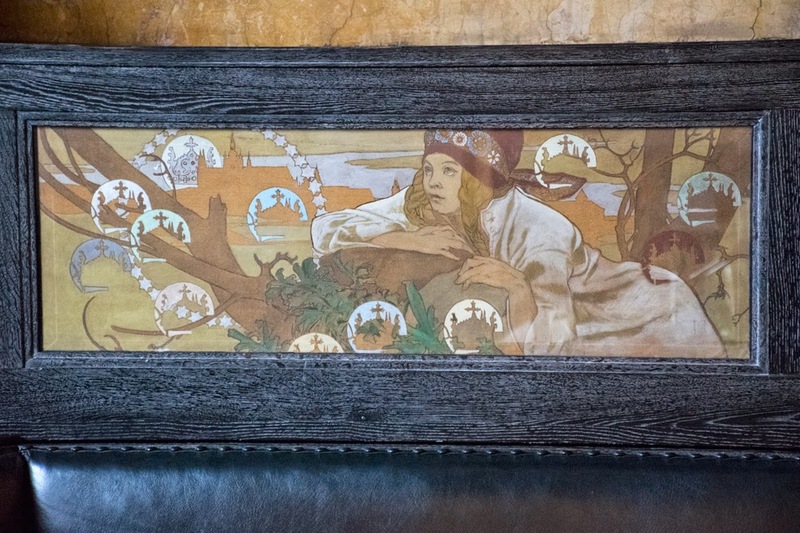 I remember the day, more than 20 years ago, when a librarian put into my hands a book on Mucha. It was a pivotal point in my life, a paradigm change, a tectonic shift in my artistic evolution. 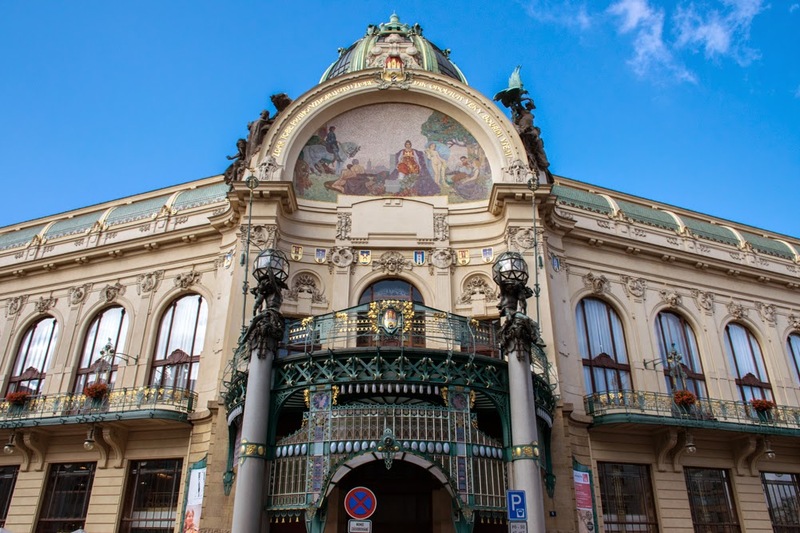 So now we plunge into the Art Nouveau Prague and peel back the layers of time to that brief period around the turn of the 20th century. 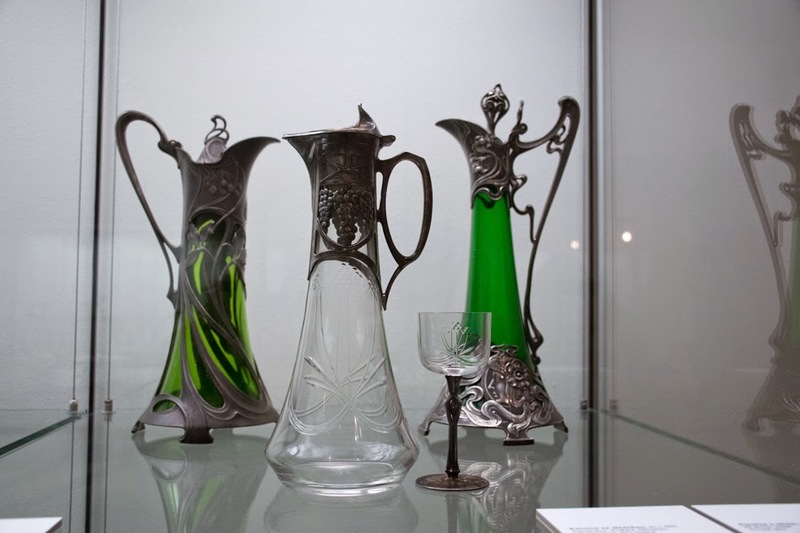 Art Nouveau drink decanters. Beautiful. 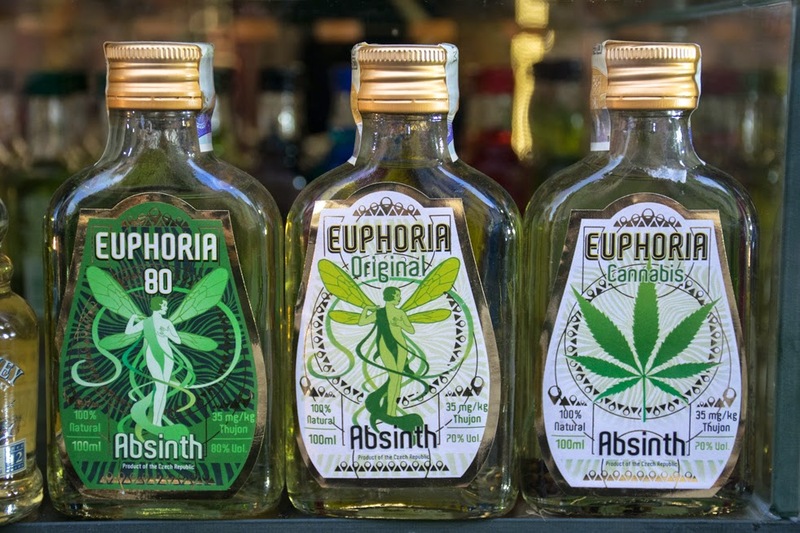 No trip back to the turn late 1800's or early 1900's would be complete without La Fee Verte, the green fairy: Absinthe. 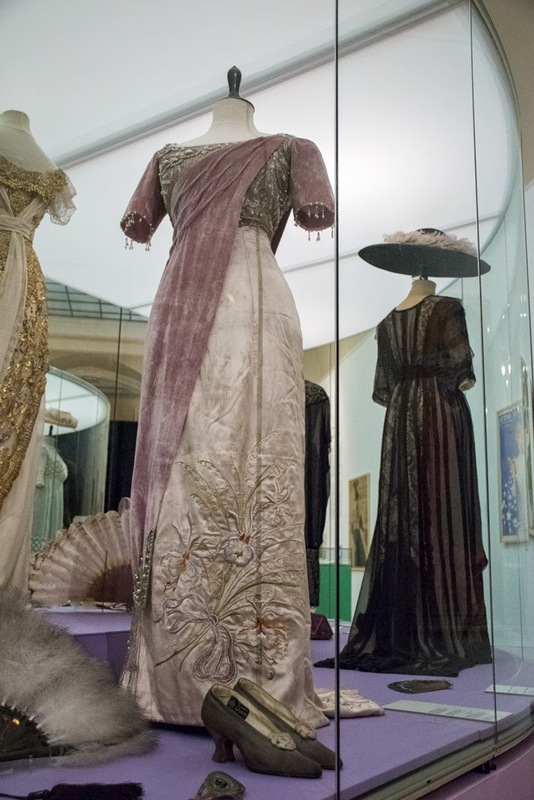 And now we are properly dressed for our journey into Art Nouveau. Then I headed to The Municipal House. 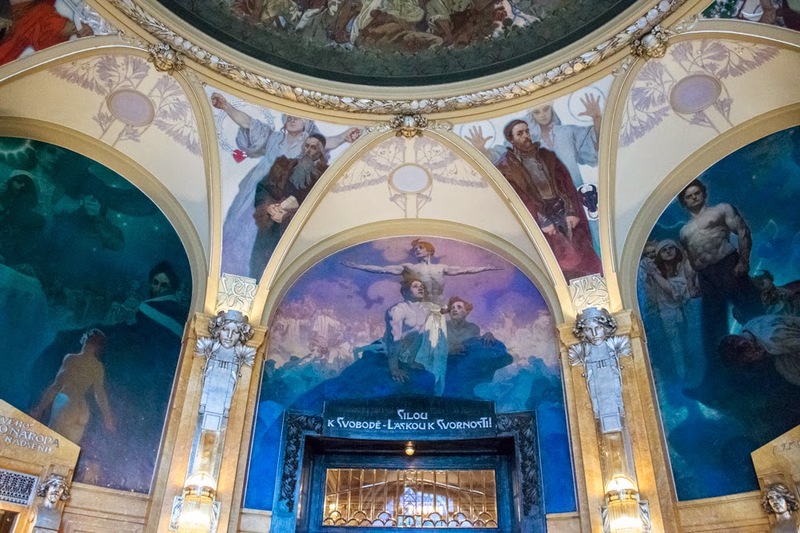 The Municipal House is an Art Nouveau masterpiece. 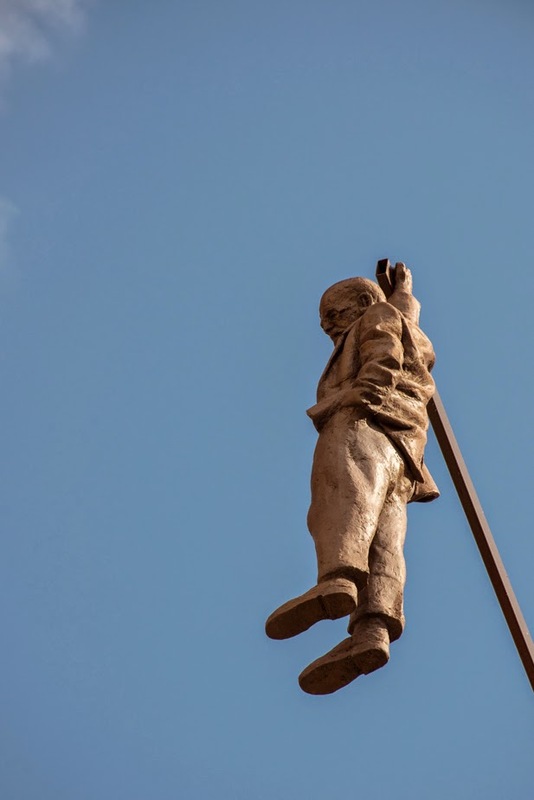 It sits in Republic Square, off Na Prikope, the main shopping district in the New Town. It was built in the early 1900's as a concert hall and cultural center. 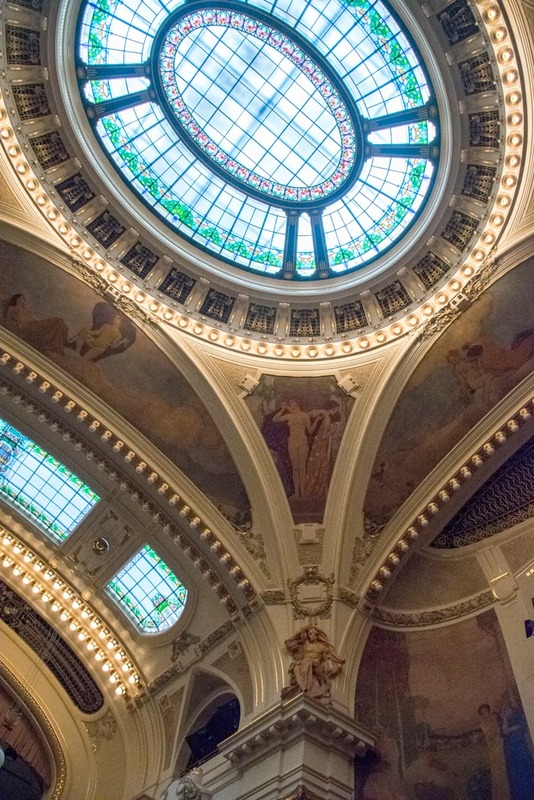 You can wander through amazing rooms where ladies lunched, men met and smoked cigars, and where people went to be seen in grand concert halls. 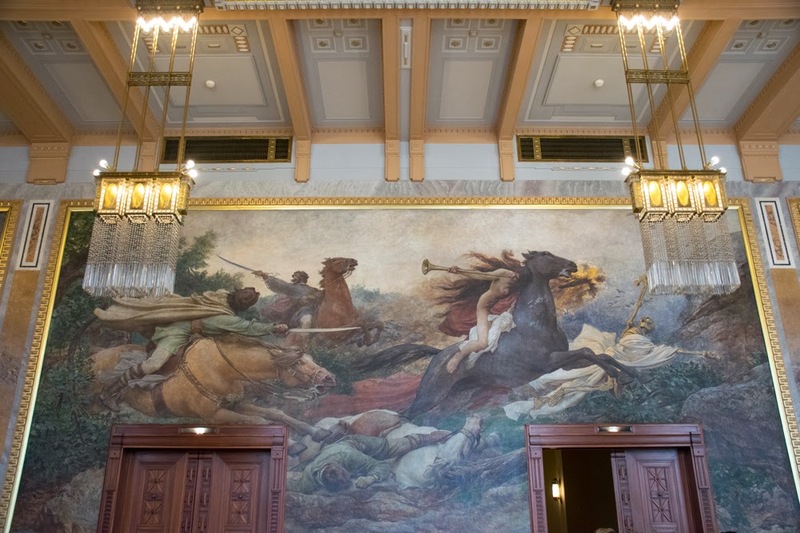 The leading artists of the day contributed to the interior design, including Alphonse Mucha's amazing Mayor's Room. Mucha designed every detail of that room, right down to the peacock embroidered drapes. 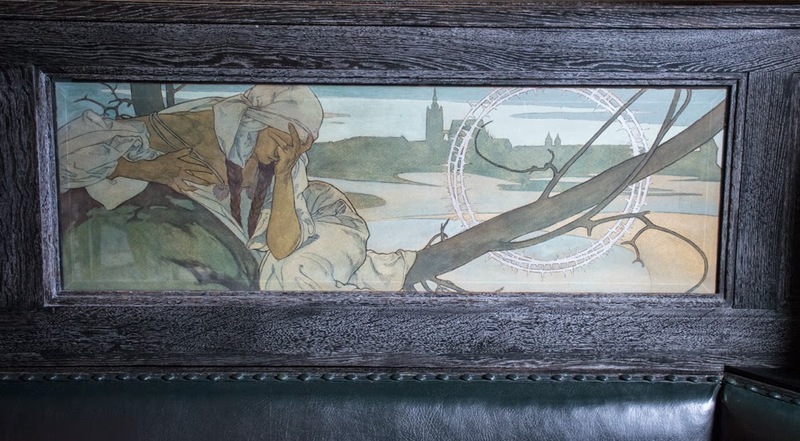 No one paints people that are more alive or more intense than Mucha. The figures on the ceiling looked like they could step off the walls to walk among us shouting dire warnings or exclaiming joyous greetings. 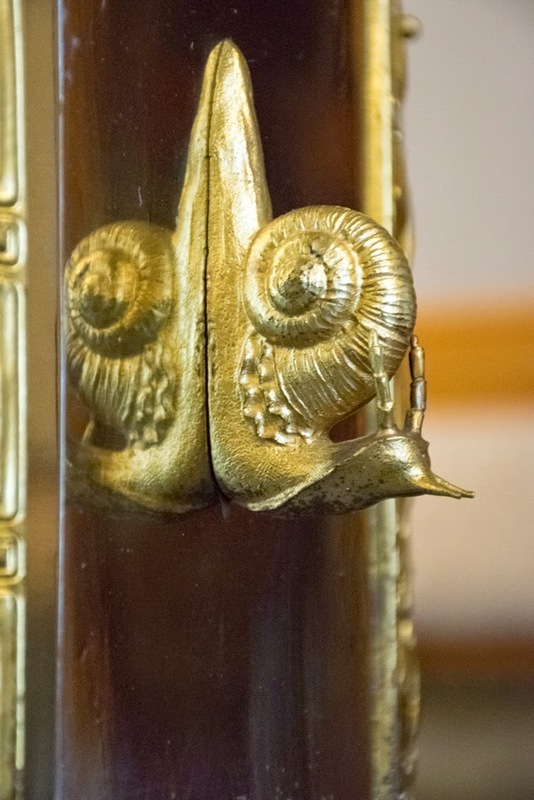 There was also an exhibition of Art Nouveau objects d'art in another part of the building. 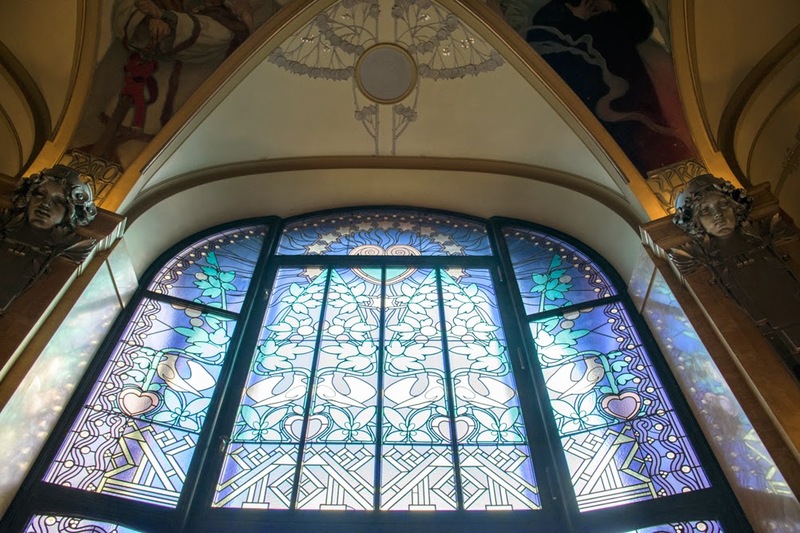 Here I saw Mucha's monochromatic work for the first time. He was amazing in black and white. 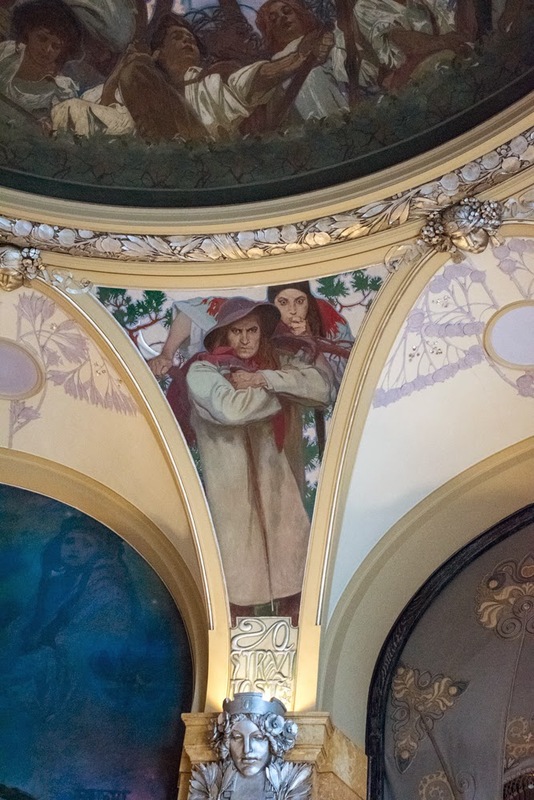 You can learn everything you need to know about the use of color from Mucha, but he understood graying out the world and the contrast of white to black just as well. I wanted to grab pencil, pen, and paint and just create, create, CREATE! The exterior of The Municipal House. 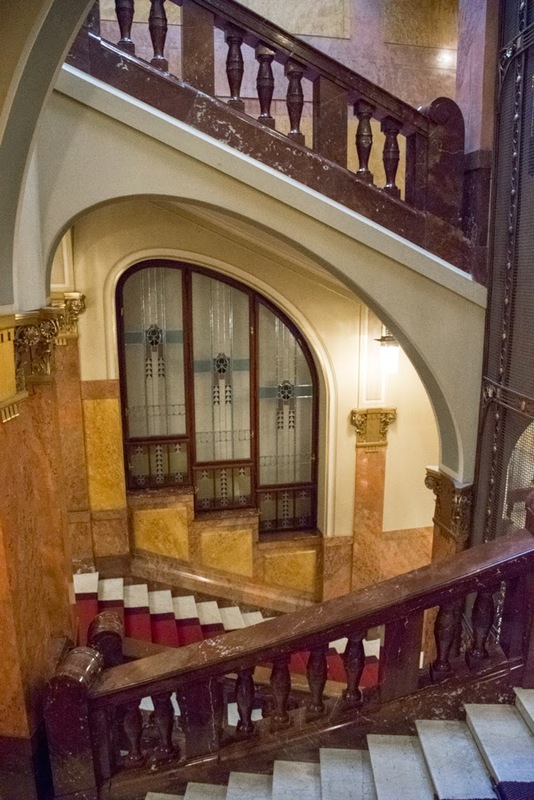 The interior of The Municipal House. 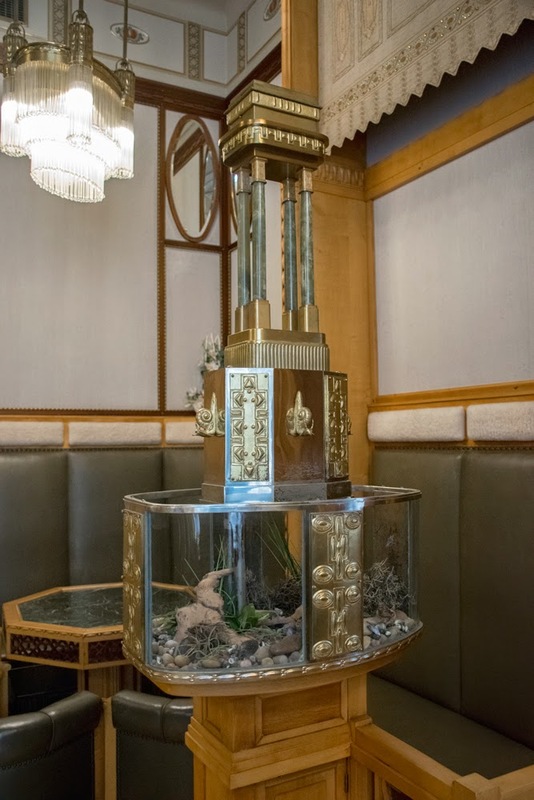 A terrarium, once a fish tank. 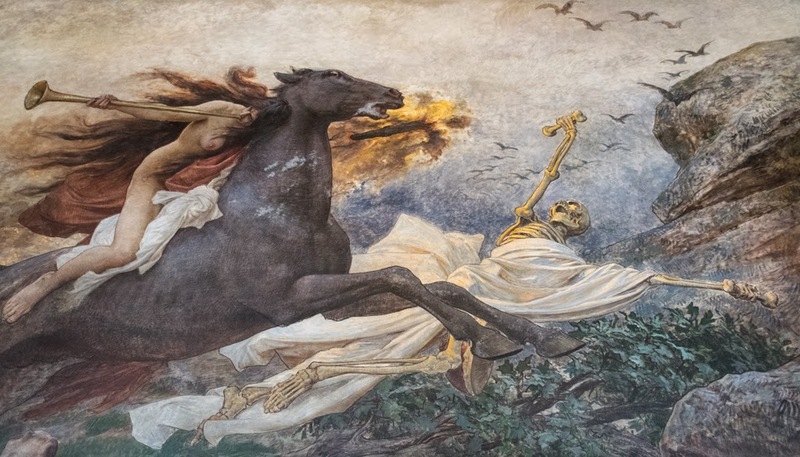 Mucha's paintings celebrate the heroic past of the Slav peoples. 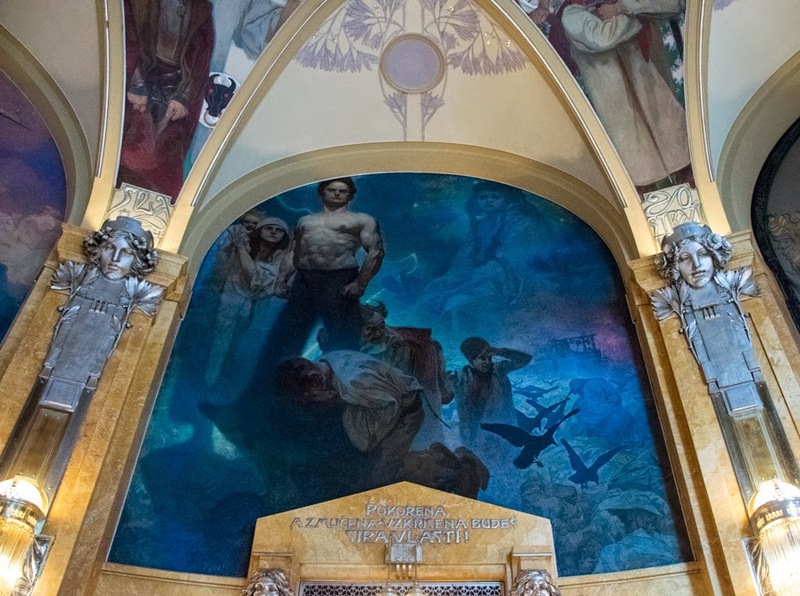 These wall panels portray representations of Slavic youth swearing allegiance to their mother nation. 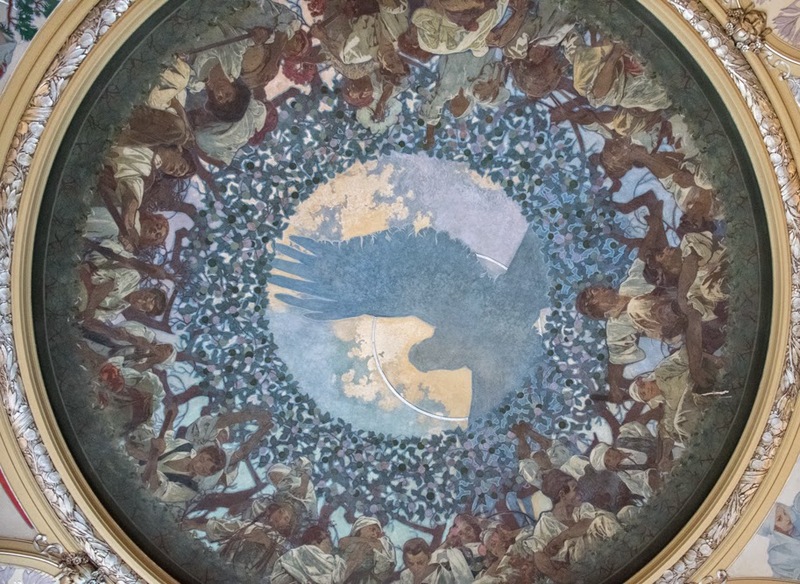 The circular ceiling mural is supported by eight pendetives portraying civic virtues personified by figures from Czech history. Then I wandered down Na Prikope and then looped back to Liliova Street. I had an amazing quiche and more amazing chocolate at Choco Cafe. Then, after climbing the never ending staircase to the apartment, I napped. The House of the Golden Arrow, or Little Lily. See the top floor, with the little window? That's the floor I need to climb up to. 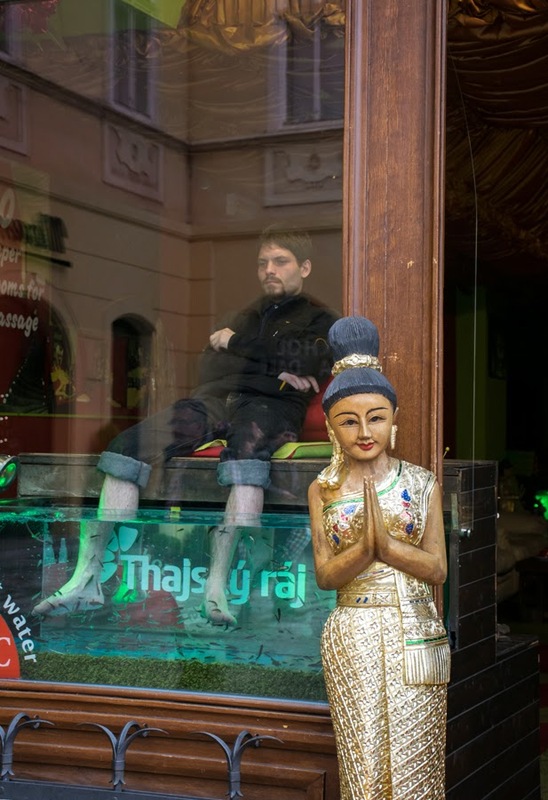 Just around the corner from where I'm staying hangs David Cerny's "Hanging Out". 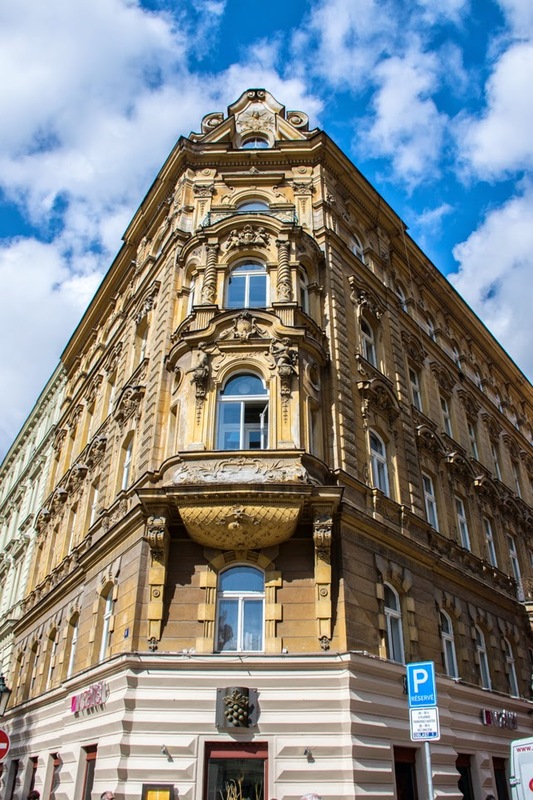 Look up on Narodni Street. In the evening I took a tour of the Klementium. 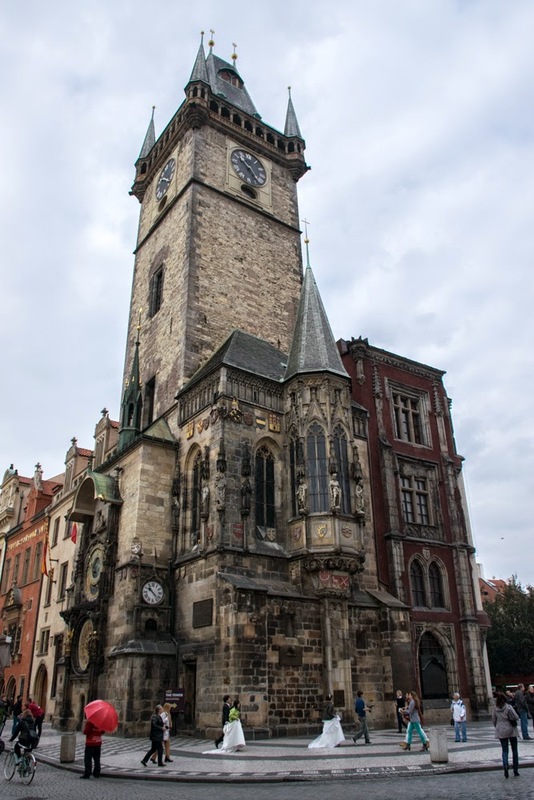 This huge complex, at the foot of Charles Bridge, houses the National Library and several chapels. It also offers tours of its Astronomical Tower, views of an amazing Baroque Library (no photos allowed), and offers concerts in its Mirror Chapel. 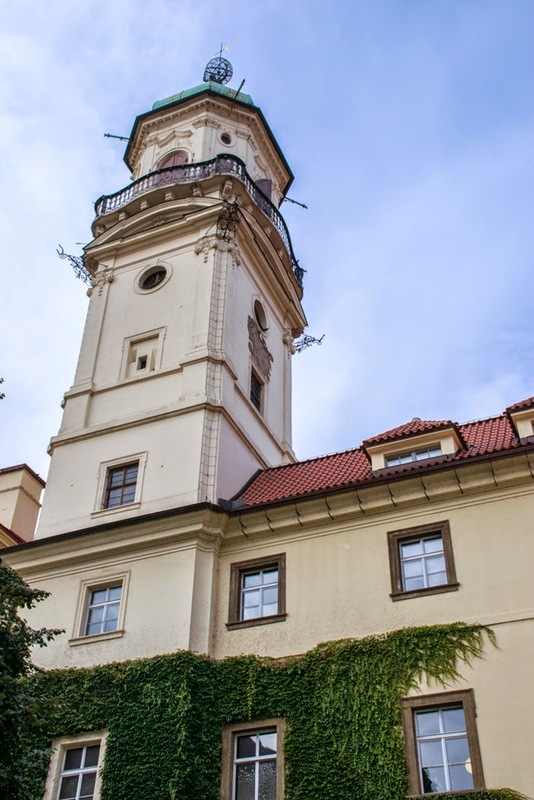 I took the tour winding my way through the building and up to the top of the Astronomical Tower, past old brass telescopes, and up to view the rooftops of Prague. I ended the tour with an organ concert in the Baroque Mirror Chapel. It was a good concert, not brilliantly inspired, but enjoyable enough. They played Mozart, Bach, Handel, Pachelbel, Smetana, Dvorak, and Vivaldi. It was a very nice way to spend an hour, taken away upon the strings of violins and cellos. Astronomical Tower of the Klementium. Concert in Mirror Chapel, Klementium. The view from the Astronomical Tower.